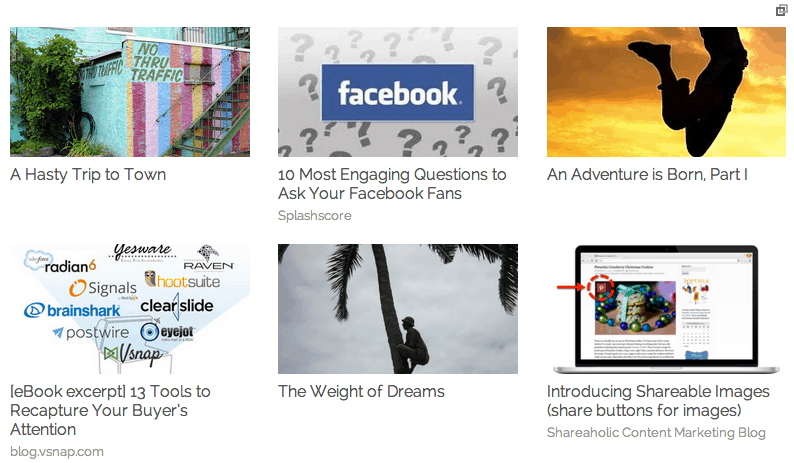 As our Founder and CEO, Jay Meattle, said in his blog post yesterday, Shareaholic has grown from humble beginnings as a content sharing browser extension in 2009 and transformed itself into an all-in-one content amplification platform which now reaches over 420 million people each month! This spring, we announced our plan to begin offering monetization solutions to compliment our sharing and engagement tools for your content. Our goal: To help you earn money doing what you love using the tools you already have installed to simplify the process of monetizing your content. Over the summer, we worked closely with our publisher base to test these new apps and after many improvements, we released the first set of revenue generating features in September: Post Share Ads and the Affiliate Links app. After weeks of collecting feedback through user surveys and direct input, we released a series of upgrades to accommodate important requests. These settings previously required an account at Shareaholic.com to access, so we’re excited to make your plugin dashboard easier to use and far more powerful. NOTE: You’ll still need to create an account with us in order to see your earning stats, enter your payment information and gain access to advanced controls, but we’ve added the ability to access many more controls directly inside the plugin. This week we updated our homepage to include all of our services. We are in the midst of a complete website redesign to better convey all of the features that we offer. Already, we are excited about these early upgrades and what else we have in store. Additionally, we’ve updated our plugin’s title, description, and release notes to clearly outline everything that Shareaholic can do! As we announced earlier this week, we released Promoted Content – a new feature that will help you earn revenue from your website by integrating relevant sponsored content from premium third party advertisers into the Related Content app. These high-quality native ads are mobile responsive and accommodate any site layout. Plus, because of our large network of sites, we are able to negotiate better rates with our advertising partners, so you get a greater return when you take advantage of our apps. 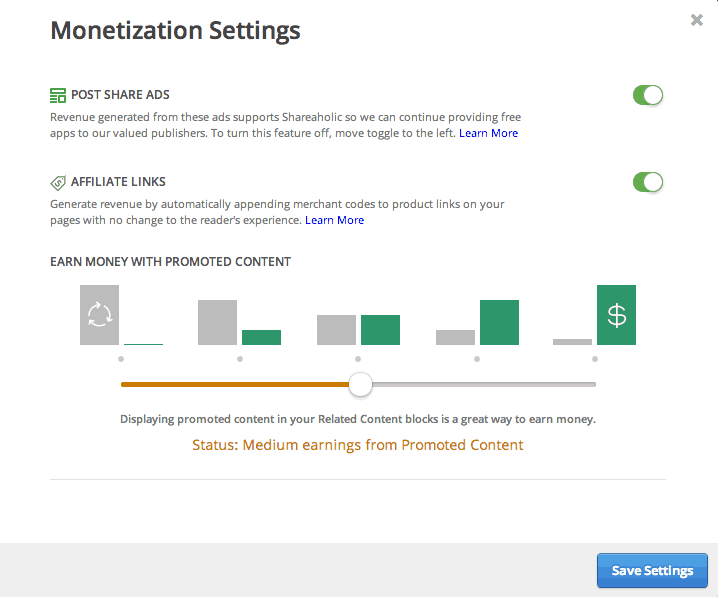 Promoted Content app settings are active both in the plugin and on our site, so feel free to make changes, add your payment information, and view your earnings!